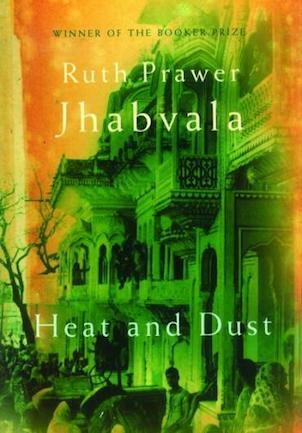 For those who have never observed the world of interactions between some wealthy Indians and the foreigners around them, Ruth Prawer Jhabvala’s Heat And Dust reads less like the pointed social satire that it is and more like a dusty colonial tale, bathed in 1970s nostalgia for an imagined India. The brief Booker-winning novel describes an unnamed woman who travels to India to rediscover the history of her step-grandmother, Olivia. The novel transposes Olivia’s 1920s life as the confidante of a central Indian Nawab and wife of a British colonial officer with the narrator’s journey as she locates and reads Olivia’s diaries. Jhabvala, German-born, and England raised, spent 24 years in India, married to a prominent Parsi architect. She is best known for adapting novels (Heat and Dust among them) into screenplays for Merchant Ivory films. Though she enjoyed great success as a novelist, what was perceived as a sharp critique of India’s upper classes came to haunt her as readers became aware that, despite her ambiguous name, she was of European Jewish descent. 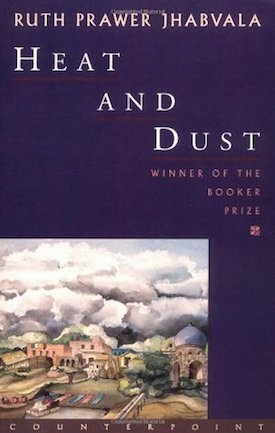 Despite Jhabvala’s reputation for satirising India’s affluent, Heat and Dust locates its primary target in the foreigners who live in India. The Indians who make it their business to be surrounded by those foreigners are collateral damage in the author’s effort to skewer the dynamic between the two. As the Nawab’s overextended rule begins to falter, Jhabvala deftly criticises the arrogance of the colonial officers who paternalistically banter about the ruler’s theoretically independent kingdom; “‘Oh absolutely,’ said the Major. ‘He is – a prince. No other word for him. The trouble is that his state is unfortunately not quite princely enough to satisfy either his ambition or indeed his need for money.’” But though Jhabvala is clear in her critique when the colonial officers speak of the Nawab as if he were a child, one wonders why she chose to show us instances in which the officers are both condescending and entirely accurate in their condescension. When Olivia’s husband complains about the hardship of distant District Collectors, stuck out there “all alone”, Olivia snipes back, “with only a few million Indians.” The novel is replete with examples of entitled foreigners behaving badly and Jhabvala, with her knowing eye, using her protagonists to observe and critique their failure to see beyond the confines of their narrow colonial lens. Jhabvala doesn’t fail in her incisive critical portrait of affluent Indians and the white people who surround them. 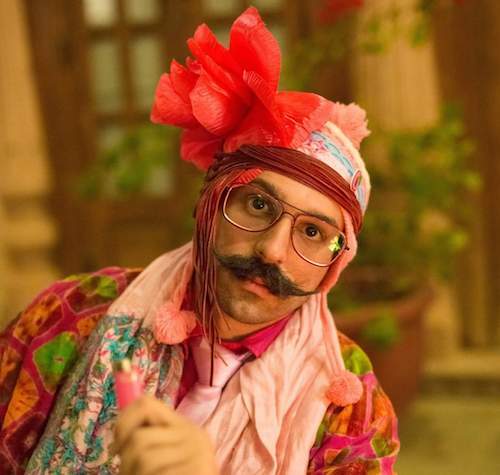 But this satire is lost in the persistent notion of a line that one can “cross over” between the Indian and the other, implying that which is impossible; the notion of “Indianness” as a unitary thing. Jhabvala gave few interviews; it is unclear whether her protagonists’ insistence that they, uniquely, are distinct from other foreigners is a reflection of her self-image or a portrait of their naivete. And there is no small irony in a yet another foreigner, sitting in Delhi decades after she left the city, finding faults in her understanding of India. 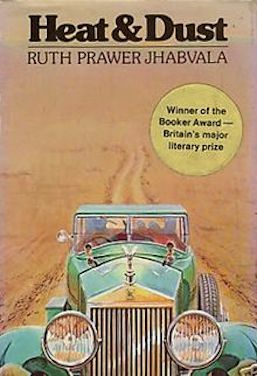 But in trying to imagine away the privilege of its characters’ identity through immersion in the heat and dust, in ashrams, in scorn for other foreigners, and in intimate bonds with Indian men, this perceptive but flawed novel invites a reappraisal. 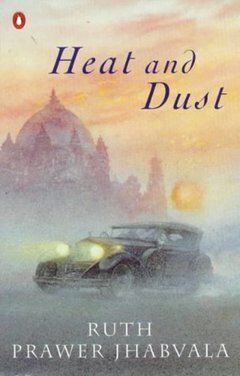 Have you read Heat And Dust? Do you agree with Kerry’s critique? Share with us in the comments. Kerry Harwin is a Goa and Delhi-based freelance journalist who focuses on marginal communities and the post-colonial experience. You can regularly find his work in GQ India and you can find his images and musings, along with a healthy dose of Marvin, his pink monkey friend, at @flashhardcor on Instagram.